II-VI Incorporated (NASDAQ:IIVI), a leading provider of solutions for optical networks, today announced the introduction of its Bi-Directional Optical Line Subsystem (Bi-Di OLS) platform for datacenter interconnects (DCI). 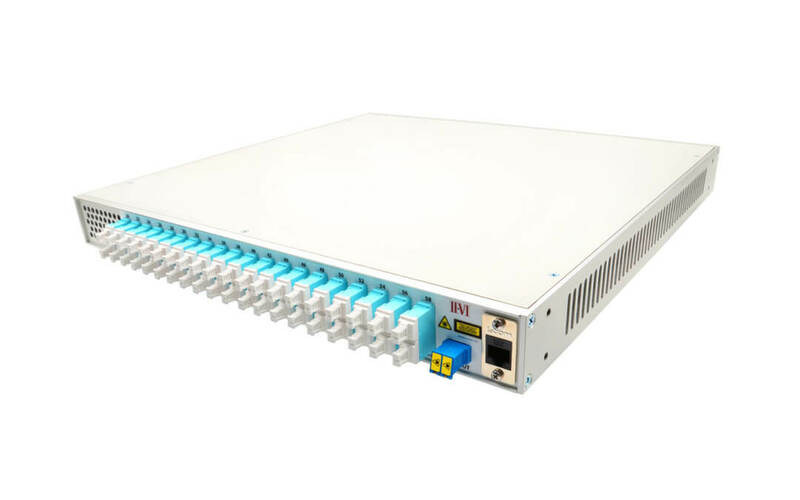 The platform is optimized for direct-detect DWDM transceivers, including the new COLORZ-Lite™ 100G PAM4 based on the COLORZ® silicon photonics platform from Inphi Corporation (NYSE:IPHI). Cloud service providers require increasingly scalable, cost effective and power efficient solutions to meet the rapidly growing demand for DCI. II-VI’s previously announced OLS, together with COLORZ-Lite data streams, enable data center operators to achieve a combined transmission rate of up to 4 Tb/s over a 25 km reach, in a compact one rack unit (1RU) form factor, over a pair of fibers. The new Bi-Di OLS operates over only one fiber, which doubles fiber utilization efficiency. The II-VI Bi-Di OLS and the COLORZ-Lite™ 100G PAM4 platforms will be jointly demonstrated at OFC 2018 at II-VI’s booth #2313.